Plexus Cop. officially opened its new manufacturing facility in Guadalajara, Mexico. An opening ceremony attended by Plexus employees and invited guests marked the event. Plexus invested nearly $40 million in the development of its new 265,000 square foot facility located within Guadalajara Technology Park. The facility becomes part of Plexus' global network of 24 integrated facilities, providing customers with electronics engineering, manufacturing, supply chain and aftermarket services. At full capacity the site could employ more than 740 highly skilled and talented people. 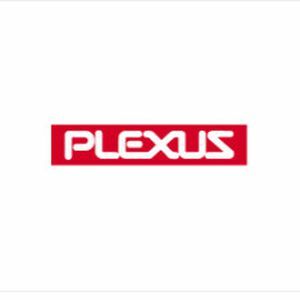 Todd Kelsey, Plexus' Executive Vice President and Chief Operating Officer, commented, "Plexus is committed to continually advancing the competitiveness of our mid-to-low volume, higher complexity Product Realization Value Stream solutions. Our investment in the new site in Guadalajara provides the platform to meet the current and future needs of our customers requiring a Mexico solution. Plexus' reputation for providing exceptional quality and our dedication to Operational Excellence will be strengthened through the hard-work and commitment of the Guadalajara team." José Palacios Jiménez, Secretary of Economic Development of the State of Jalisco, Mexico, commented, "We are pleased that Plexus, an industry leader in providing electronics engineering and manufacturing services, has selected Guadalajara as the location for this impressive facility. Within the State of Jalisco, Plexus has gained access to an impressive network of suppliers experienced in supporting the electronics industry. This new facility will provide the citizens of Guadalajara and surrounding areas access to great opportunities for high technology jobs." The new facility is now fully operational and Plexus is actively recruiting to fill employment opportunities.